Welcome to the website. The aim here is to look at how Fareham and the immediate area has developed, particularly through the 20th century, delving in to as much detail as it is possible to create. The biggest changes through this period have been the change of use of many buildings, from St Christopher's Hospital to Woolworth's, and the town's adaptation to car traffic. On the left you will find a list of sections which have already been created, generally these are presented as a tour along various key streets. I wouldn't seriously expect many people to enjoy reading page after page - although I hope some do - but there aren't many websites dedicated to detailed local history and I am keen to find out why. I see it as a modern take on traditional history books, and I hope people find specific sections that interest them (even if it's only a sentence or two!). The big difference is that while books try to tailor their content to make them more appealing, on the internet you can document as many details as your enthusiasm allows for. Fareham has been dependent on three successful industries: being a port, exporting bricks and similar industry, and the market in the centre. While this brought wealth to privileged individuals, whose large houses gave way to many estates (the largest being the ones adjoining Park Lane), by and large Fareham was a working man's town, and was dirty and at times, poor. It was ambitious though, being the first place in the country to be lit entirely by electricity, and a series of grand dreams in the 1970s led to the complete redesign of the central area, The River Wallington being almost completely re-routed, and the first shopping centre of its kind opening in 1975. 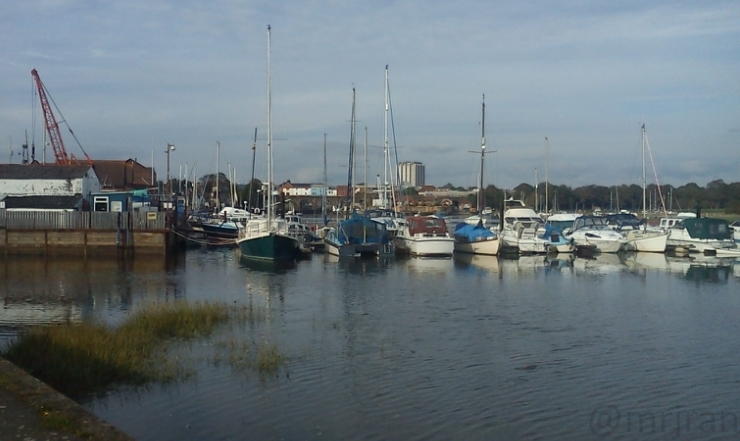 The plans weren't actually completed until 2004, but the ambition, coupled with general south coast inflation and the charm of some of its surviving architecture, made Fareham in to the prosperous town that it became known as. Sadly economic policies and events since 2008 have made it feel like things have moved backwards. Hopefully this website will preserve the feeling of excitement and wonder that surrounded the plans and ideas which were put forward in the 20th Century.